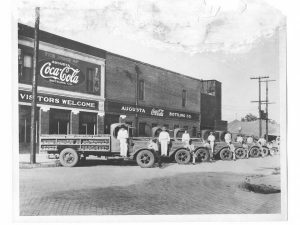 In 1902, shortly after Asa Chandler, President of The Coca-Cola Company awarded the rights to put Coca-Cola in bottles, J. M. Rainwater and John E. Reed, two former Coca-Cola employees from Atlanta, moved to Augusta, Georgia to began the production and distribution of Coca-Cola in bottles. Within three years, production had increased from 25 cases per day to 400 cases per day. 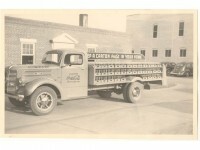 Rainwater and Reed made a true success of the company and in 1916 sold the company to Crawford Johnson of Birmingham. This business decision would eventually lead to the formation of Coca-Cola Bottling Company United, Inc., the 3rd largest privately owned bottler in the nation. 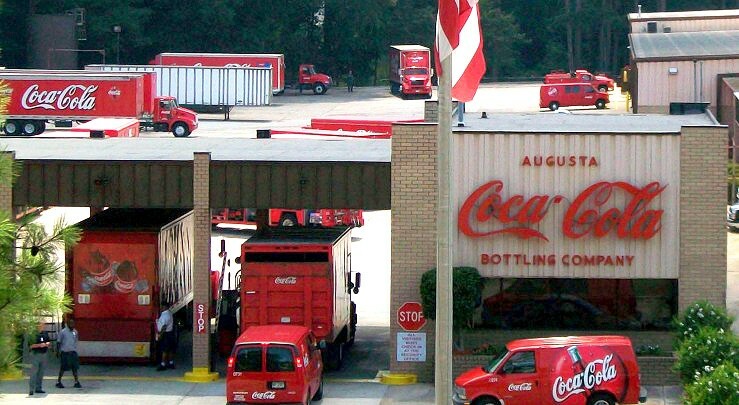 Augusta Coca-Cola Bottling Company operates in 18 Georgia and South Carolina counties marketing non-alcoholic beverages. Today, the company is located at 1901 North Leg Road where the company has made it’s home since 1978. Augusta Coca-Cola and it’s 200 + employees are proud of our continued support of many civic and charitable organizations serving our communities.